It’s only a matter of time before you track mud and grime into your brand new Jeep. Some of the most fun you can have in a Wrangler is off road, but that does not mean you have to sacrifice your interior. 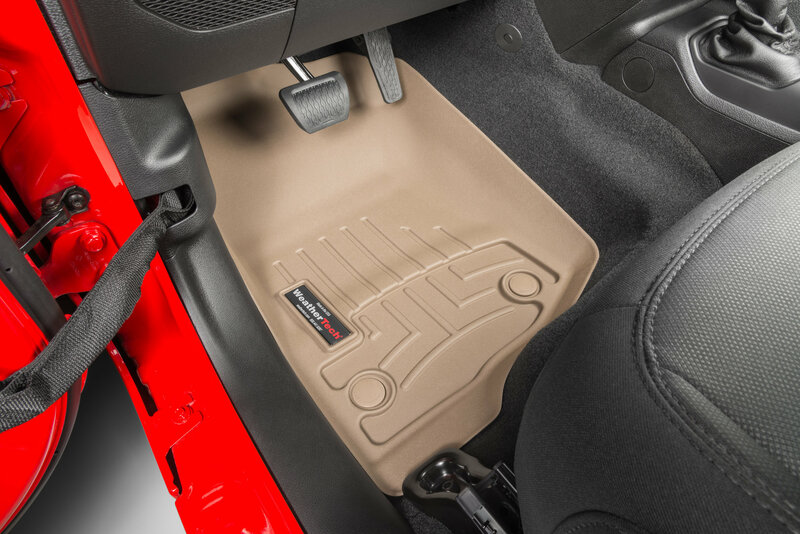 Protect the carpets in your Wrangler JL with a set of WeatherTech DigitalFit Front FloorLiners. These floor mats are laser measured for a precision fit that provides “absolute interior protection™”. Constructed from High-Density Tri-Extruded (HDTE) material, you do not need to worry about cracks, leaks, or sun damage. WeatherTech designed their DigitalFit liners to be compatible with factory floor mat hooks. So, once you install these liners you do not need to worry about them slipping or bunching up under the pedals. The liners are backed by WeatherTech’s 3 Year Limited Warranty. 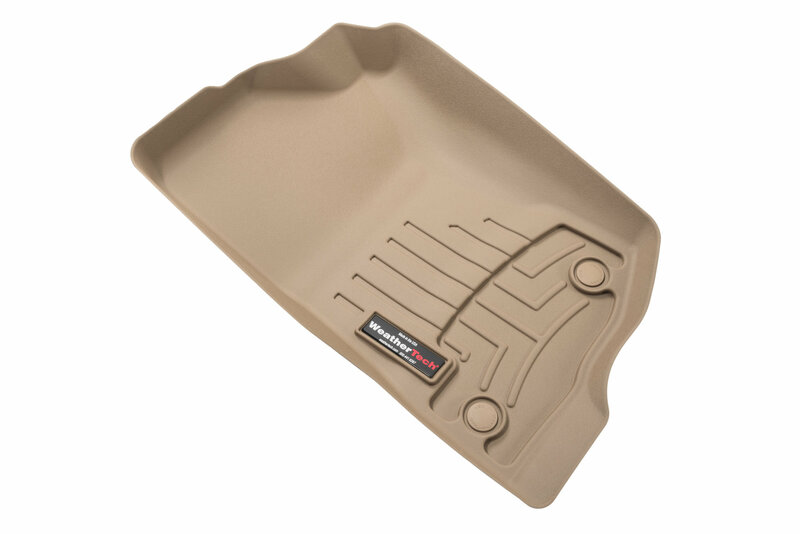 Best of all, WeatherTech manufactures their DigitalFit FloorLiner kits right here in the USA! Heavy Duty: The patent pending High-Density Tri-Extruded (HDTE) material provides a rigid structure for long lasting performance. The DigitalFit Front FloorLiners feature molded grooves that channel fluids away from your shoes and clothes while providing additional grip. 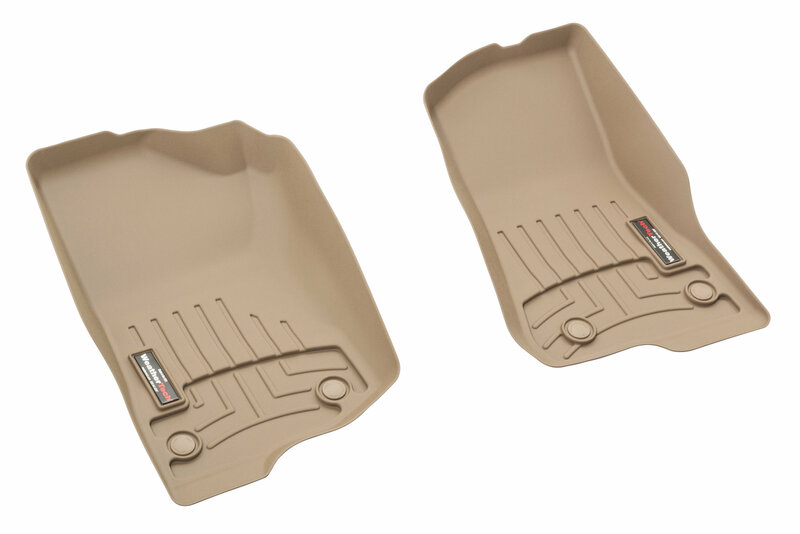 User Friendly: WeatherTech FloorLiners install in seconds on existing floor mat carpet hooks. The underside of the floor liner also grips to the carpet for additional safety. American Made: WeatherTech proudly designs and manufactures their products in the United States.